Senegalese journalist, Jamil THIAM has been arrested "while taking pictures around the Gambian city of Banjul", according to the seneweb.com, a Senegalese website. Mr. THIAM was previous Director of publication of the newspaper "Revelations" and a former journalist of the publication, "The People" who was on assignment on behalf of a European news outlet. The Senegalese outlet is the third incident involving journalists. Last week, an Al Jazeera television news crew were stopped at the airport and subsequently refused entry after they were granted permission by the Gambian authorities. This small slither of a country, embedded inside the belly of Senegal, is the smallest country of the African continent that has carved out under the dictatorship of Yaya Jammeh, a well-earned reputation as one of Africa's most repressive regimes, and extremely hostile towards journalists. 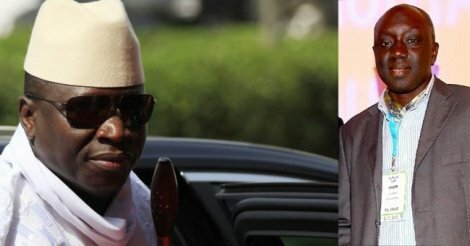 The Jammeh regime regime is dark and sinister that earned The Gambia the reputation of being the North Korea of the African continent. The Gambian dictator has arrested, tortured, assassinated and exiled numerous Gambian and foreign journalists, including journalists who have gone missing and unaccounted for, such as Ebrima "Chief" Manneh. As we go to press, the fate of the Senegalese journalist is unknown but he's believed to be still in the hands of the Gambian security authorities in the Gambian capital city of Banjul.